Hard living, good fun, independent spirits, strong women and lots of music defined generations of Carters and Bays in Clinch Mountain, Virginia. 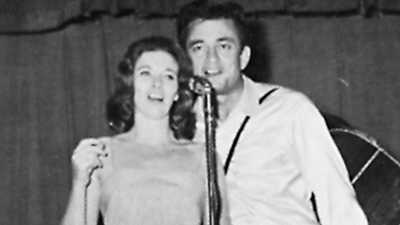 You can browse through this gallery of photos of the Original Carters and their families. 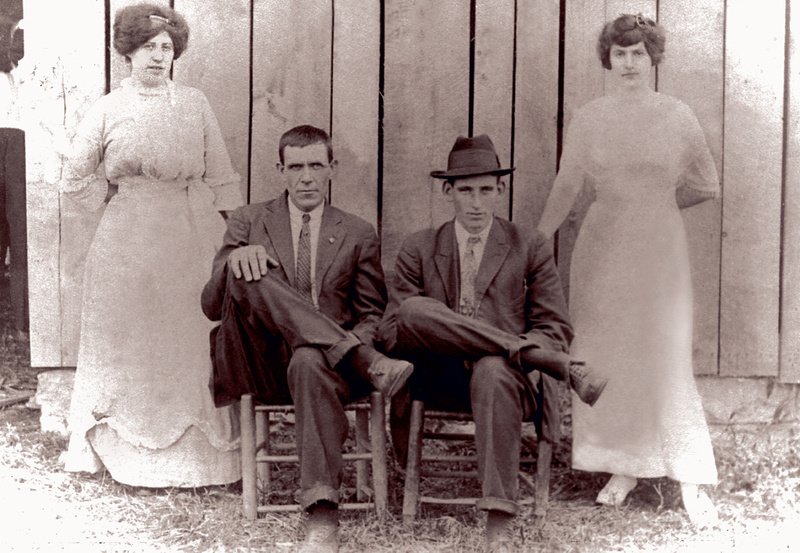 The extended Bays Carter family poses for a photo in 1901. A young A.O. Carter stands behind his father Bob Carter who is holding Ezra and Virgil on his lap. A.P. 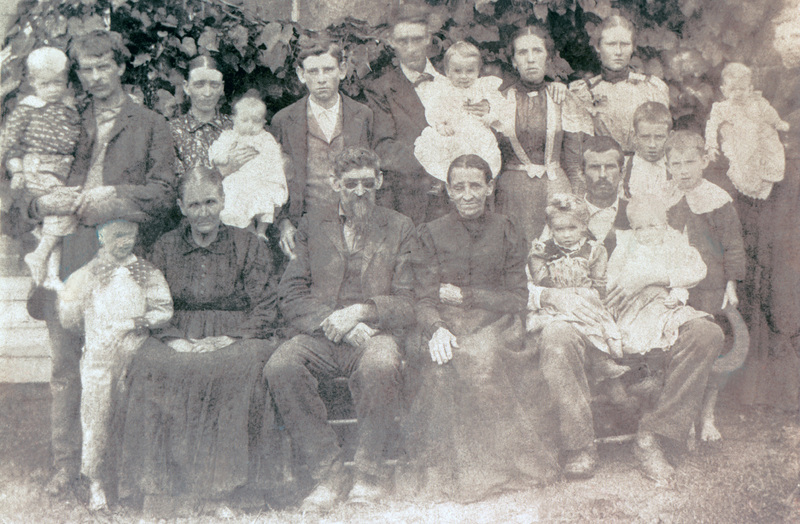 's mother Mollie Bays Carter is obscured in top row far right, holding Ettaleen. Maybelle Addington is four years old in this photo. 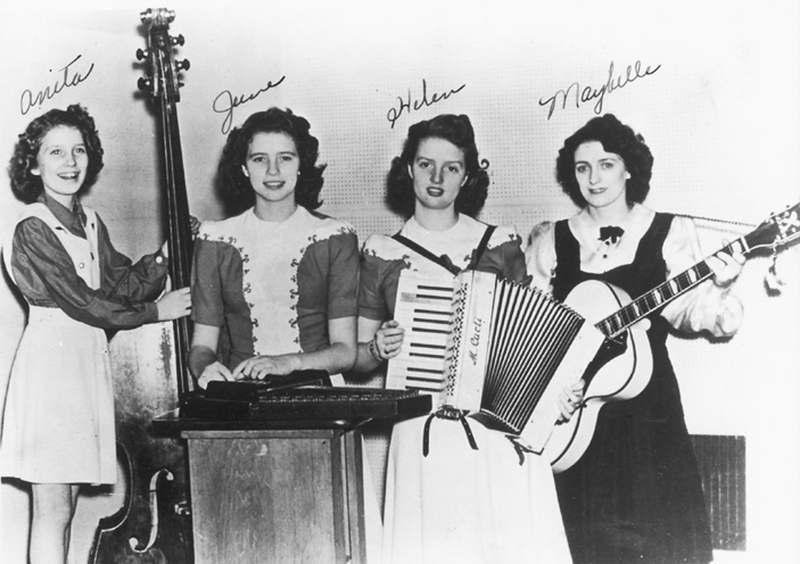 Maybelle, born into a family of musicians, was a natural musician. The story goes that around this age she pulled an autoharp down off a table and began playing by ear. Sara Carter is about 12 years old here. 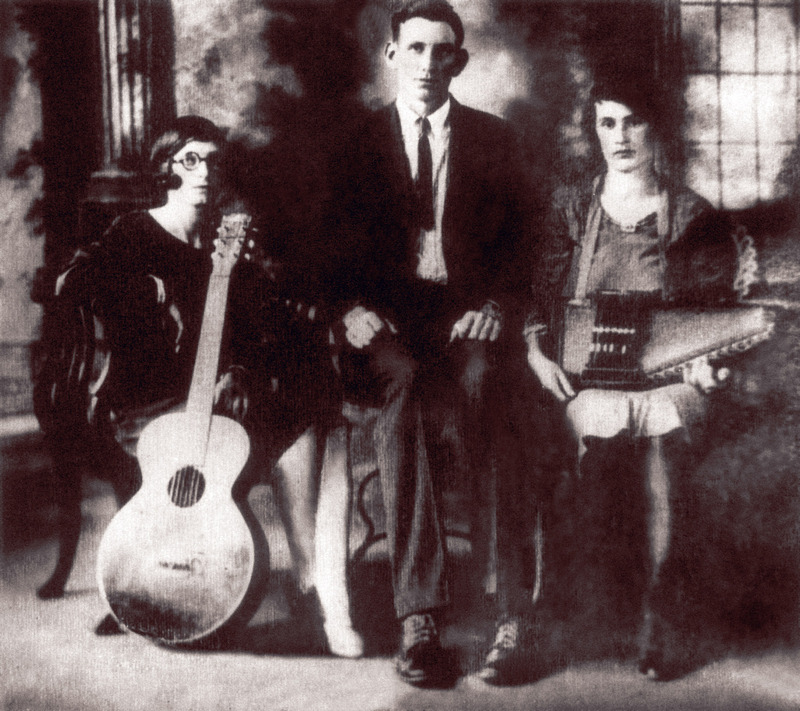 Around this time Sara had saved enough money to buy her first autoharp. She was learning the old songs and playing them with her cousin, Maybelle's older sister, Madge Addington. Maybelle Addington Carter was "the finest flower in all of Rich Valley," says biographer Mark Zwonitzer, "she could sing, dance, play the guitar, ride a horse or motorcycle or a running board, and bake a banana cream pie to curl your toes." Sara Carter, on the right, stands behind her new husband A.P. on their wedding day. Sara's older sister, Mae and her husband Buff Hartsock are on the left. Maybelle, Sara and A.P. 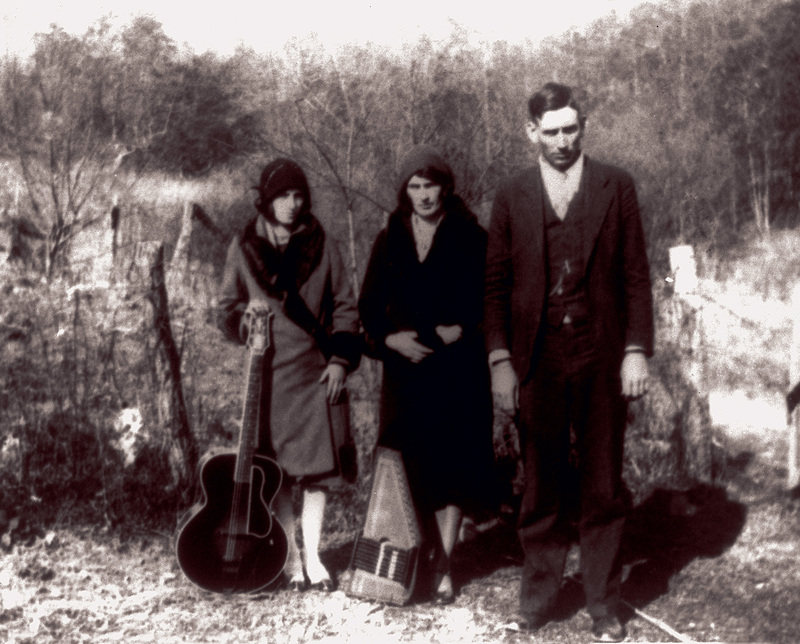 Carter appear ready for a performance in this photo taken in Poor Valley, Virginia, in 1929. The furs and hats are typical garb for the performers of the day. 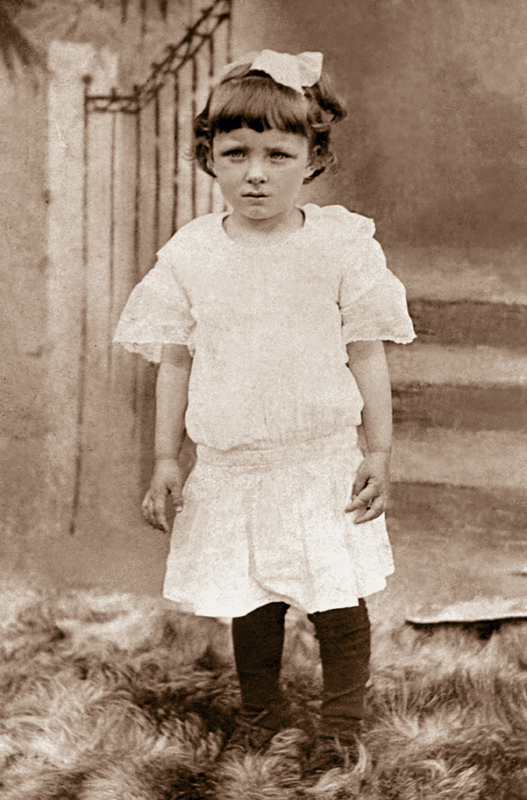 This photo of Maybelle, A.P. and Sara Carter is thought to be taken at the Bristol Sessions during their audition for Ralph Peer in 1929. Drawn to Bristol by a newspaper ad, they had no idea what the recordings would mean for their future. When Sara Carter left her husband A.P. and her children after her affair with Coy Bays ended, she returned to her childhood home. 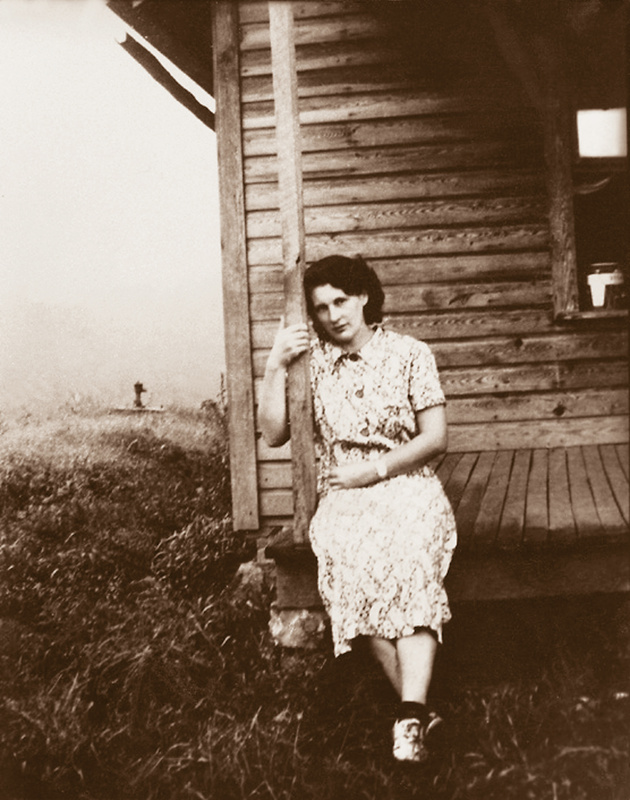 This photo is of her sitting on the front porch. 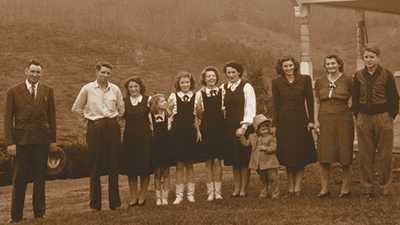 A.P., Janette, Bill Rinehart, Sara and Maybelle in back, Helen, Anita and June in front, at XERA Radio Station in 1939. 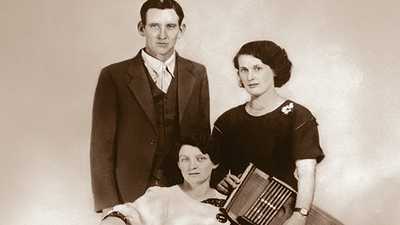 The Carter Family spent four seasons from 1938-1943 performing on border radio. This photo of A.P. 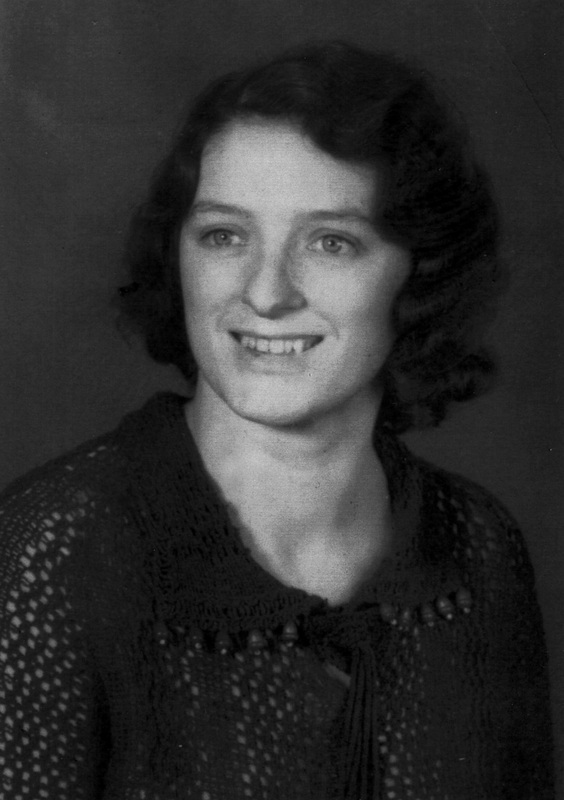 Carter was taken in the late 1950s. 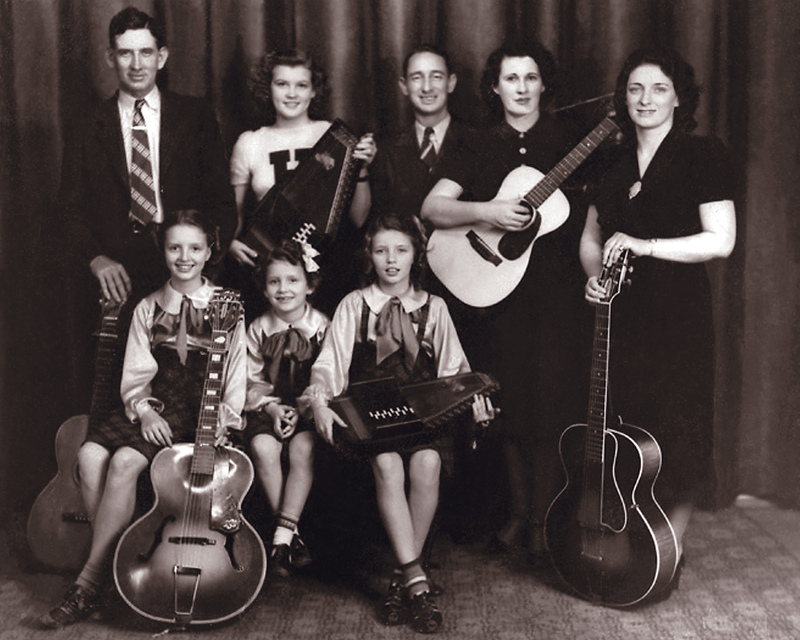 After the Original Carter Family stopped performing in 1943, A.P. 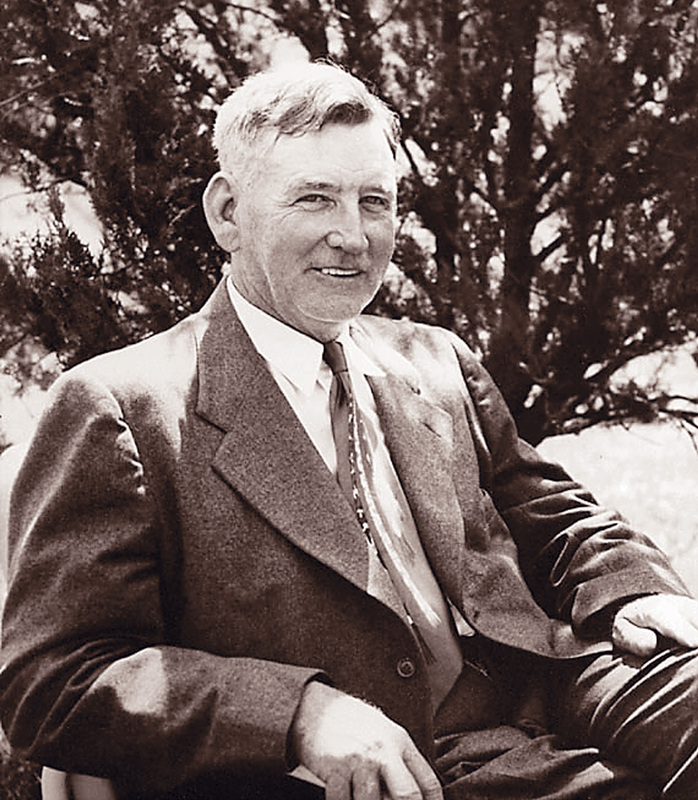 Carter built and ran a grocery store in Maces Springs, Virginia. He always saw himself as a professional musician and a man of import. He dressed every day in a shirt and tie. 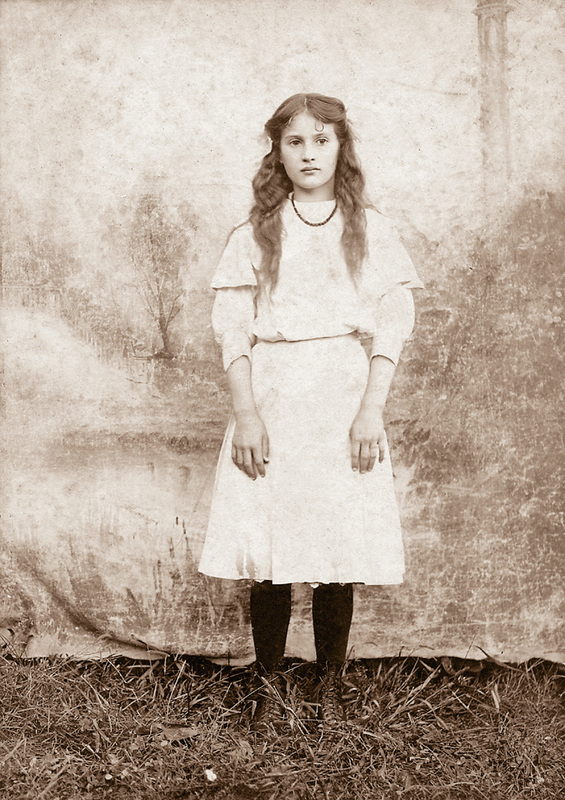 Sara had returned to California, A.P. 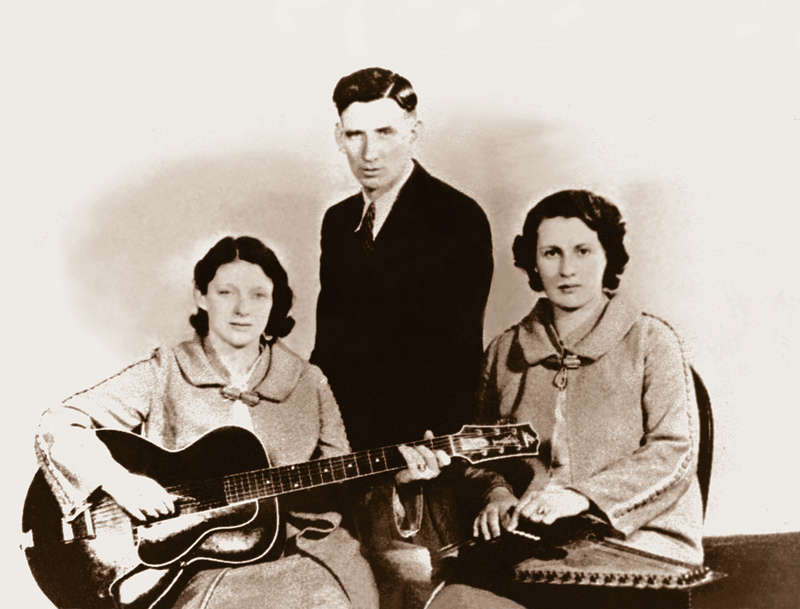 to Maces Springs, but Maybelle and her daughters — Anita, June, Helen — played on, first on local radio stations in Richmond, and later in Knoxville and at Nashville's Grand Ole Opry. Nearly struck by lightning during her pregnancy, Mollie Carter forever after will ascribe A.P. 's tremor, and the quaver for which his singing will become known, to that near miss.